The Dixon bomber is one of the most luxurious outerwear jackets in the world. 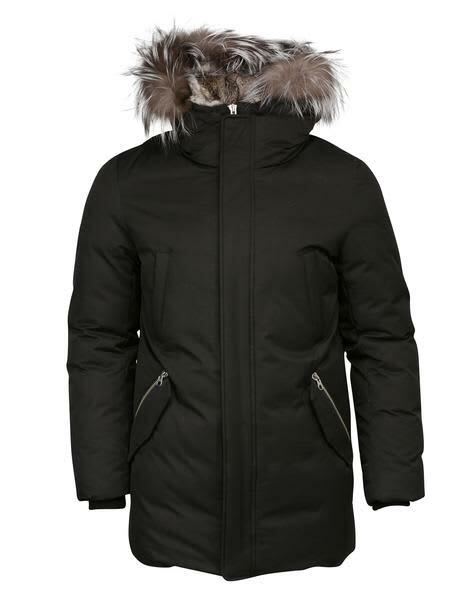 In terms of a product it is second to none, a heavy weight down filled jacket with removable fur on the hood and a removable chest piece. Materials : 800+ Fill Power - Shell: 65% Cotton, 35% Nylon - Trim: 100% Cow Leather - Lining: 100% Nylon - Filling: 90% Duck Down, 10% Feathers.